How To Flash Or Upgrade Firmware Of Infinix Smart 2 (X5515F) (Android Oreo 8.1). if you want to flash your phone Infinix Smart 2 (X5515F) with stock ROM. So you are in right place. Here you will find stock ROM & Sp flash tool download link. If your phone has issues, like- hanging, phone stuck in the boot loop (Hang On Logo) problem or unfortunately error comes again & again. And if your phone is dead while rooting or flash your device with custom ROM. So this flashing guide will help you to unbrick your device. Infinix Smart 2 (X5515F) mobile phone comes with latest mtk 6739 secured boot & android version 8.1. 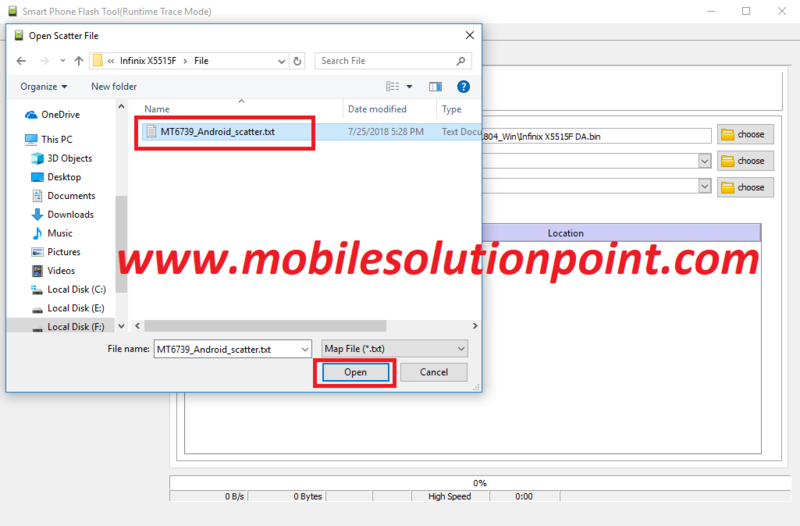 And you will be able to flash your Infinix Smart 2 (X5515F) with the help this guide easily without any professional software box. 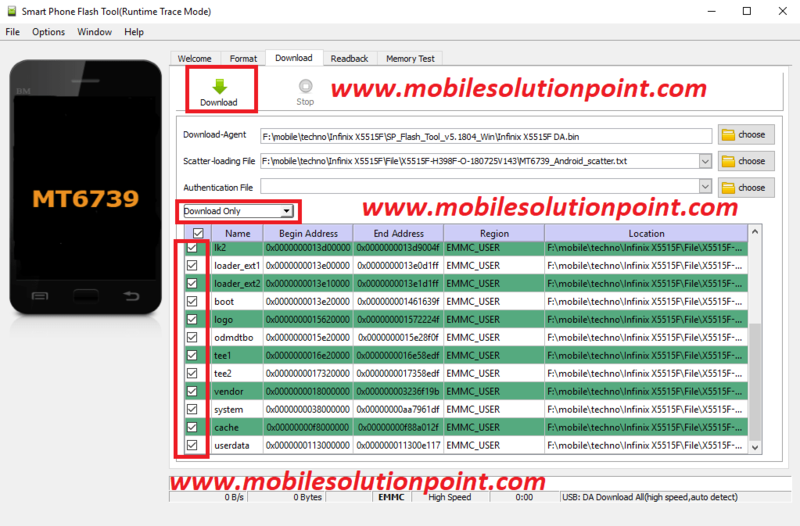 For flashing of Infinix Smart 2 (X5515F) first you must have to download Infinix Smart 2 (X5515F)‘s file & download tool. Download the file & tool from given link below in this post. 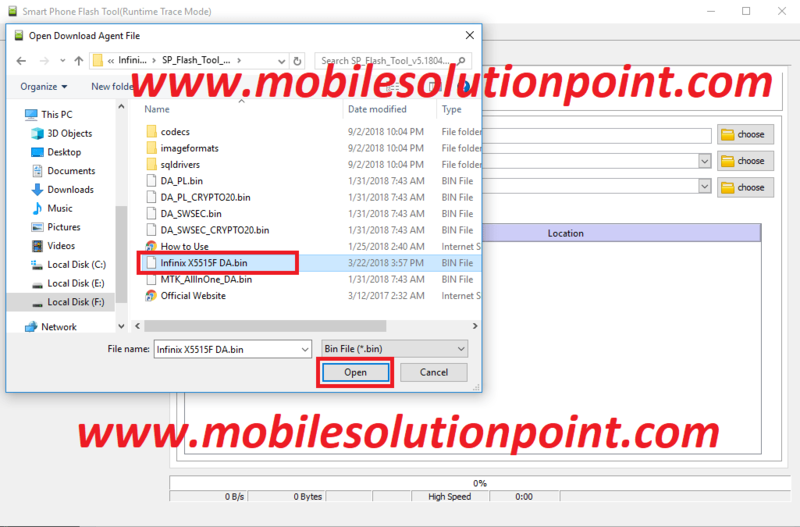 After extracting you will get 2 Folder (SP_Flash_Tool_v5.1804_Win) & ( File) Folder. 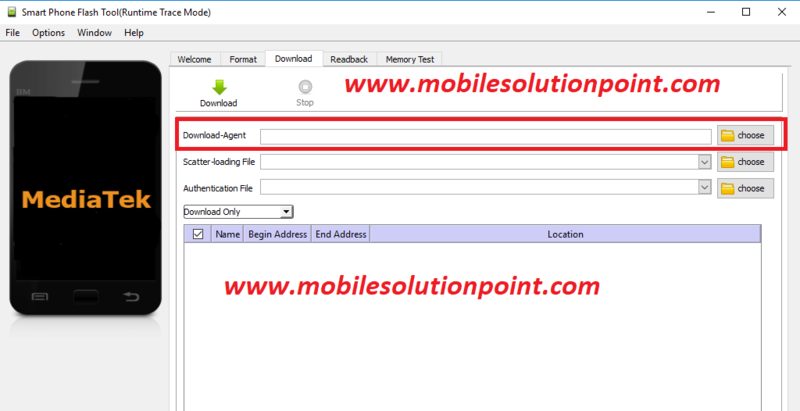 And then Select (Infinix X5515F DA.bin) which is in “SP_Flash_Tool_v5.1804_Win” Folder. See the image below. 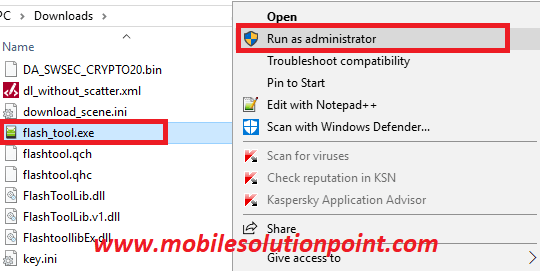 Connect your Infinix Smart 2 (X5515F) phone to Computer. Just connect the USB cable to your mobile (phone must be in switched off condition).